Provide support, guidance, and mentorship for students and new attorneys from diverse backgrounds. This symposium is free and open to the public. In-house counsel, law firm associates and partners, diversity personnel, law and business students, corporate directors and officers, and anyone interested in creating diverse business environments are especially encouraged to attend. 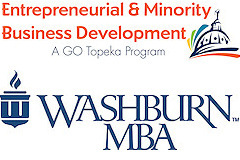 "Corporate and Law Firm Diversity" will be held Wednesday, March 9, 2016, at the Bradbury Thompson Alumni Center at SW 17th Street and SW Jewell Avenue on the Washburn University Campus (map). Free parking is available south and west of Bradbury. 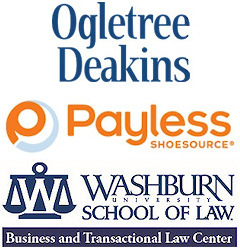 Washburn Law recognizes the Key Sponsor for this symposium and appreciates its support. Visit Colgate-Palmolive and Hill's websites. Speakers and times subject to change. WIBW interviews Delano Lewis and Janet Thompson Jackson at the symposium. Read transcript at WIBW website.